Members: an all-new, exclusive mission waits for you! Xeven, the Time Assassin, wields two VERY powerful blades -- their edges can cut through space and time itself. BUT in the last chapter of our Throne of Darkness Saga... her blades went missing! Members: It's up to you to battle your way through a maze of portals and spacetime to recover them! Defeated the devourer of space and time to unlock the quest to begin repairing the blades. 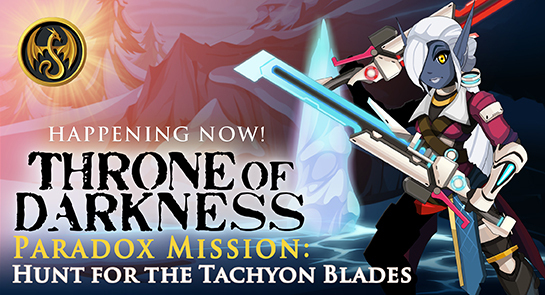 Once you've gathered all the pieces of the Tachyon Blades, you'll be able to equip and dual-wield them! Talk to Kairos in /portalmaze to begin! Not a member, but want to get in on the action? 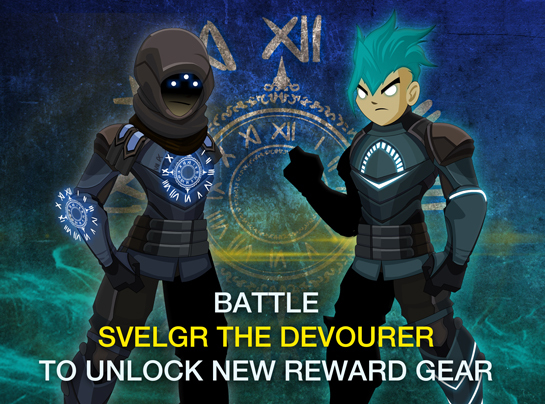 Upgrade your AQWorlds account to unlock exclusive zones, classes, pets, and more!